Doorstep Delivery Scheme: Arvind Kejriwal said he had repeatedly requested L-G to give him an audience before taking a decision. 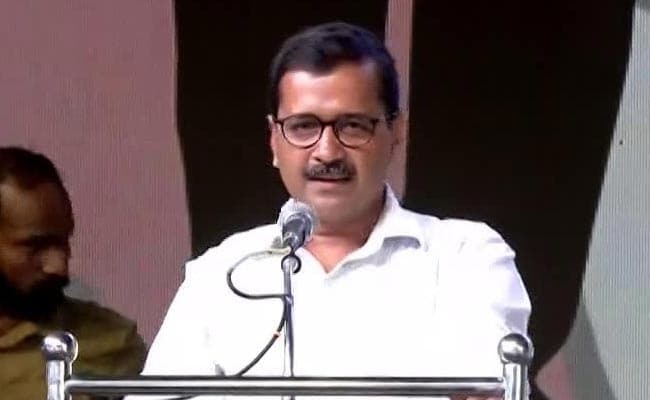 New Delhi: Lt Governor Anil Baijal has rejected the Delhi government's proposal for doorstep delivery of ration, Chief Minister Arvind Kejriwal today said and alleged that the "important" measure had fallen victim to "petty politics". Mr Kejriwal said that he had repeatedly requested the L-G to give him an audience before taking a decision but the Lt Governor did not do so. Earlier this month, the Delhi Cabinet had approved the proposal for delivering rations in sealed packets at the doorstep to PDS beneficiaries. Taking to Twitter, the chief minister said, "V sad that Hon'ble LG has rejected doorstep delivery of ration scheme. I had repeatedly requested him to give me an audience before taking a decision but he did not (sic). "Feeling really really sad that such imp proposals are becoming victims of petty politics." The proposal advocates providing doorstep delivery of wheat/flour, rice and sugar for eligible beneficiaries. According to a government official, there are around 72 lakh PDS beneficiaries in the city. After the cabinet's decision, Deputy Chief Minister Manish Sisodia had said that attempts were made to put roadblocks in the passage of the scheme, adding that he would request the L-G to consider it keeping in mind the poor residents of Delhi and pass it. "Theft of ration, poor quality of supplies and shops remaining closed were the major issues that residents were facing and the implementation of this new scheme would put an end to these harassments," Mr Sisodia had said.